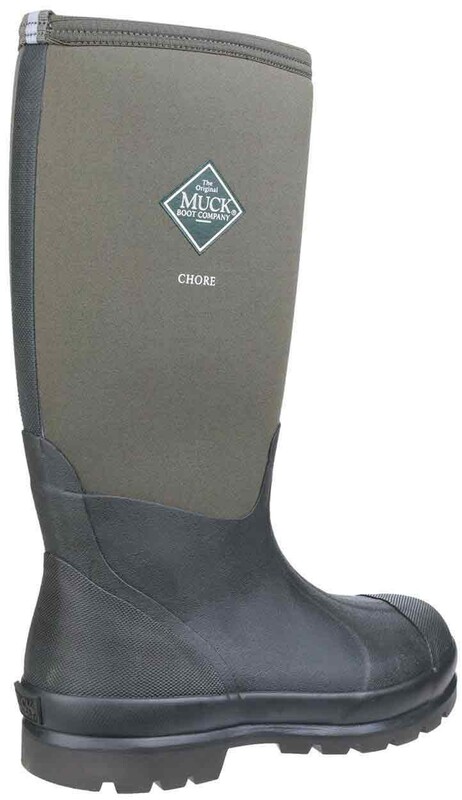 Muckboot Chore High Moss from Best In The Country Premier Retailers of Fine Countrywear & Country Clothing. 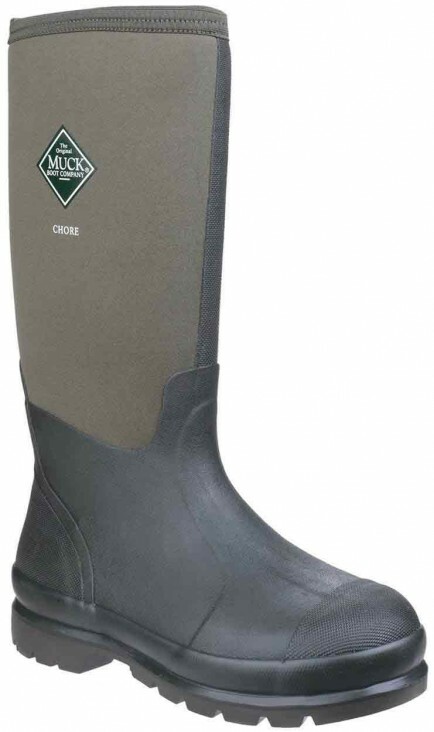 The Chore Hi is a classic work and field welly and directly replaces the Derwent boot. Airmesh lining aids moisture dispersal in all conditions. Dual density sole with deep cut lugs give grip in a variety of conditions. Oil resistant sole with a deep cut high grip tread. Comfortable in a temperature range of below zero to +29°c thanks to its 5mm thick neo bootie and Airmesh lining that ensures breathability and comfort. 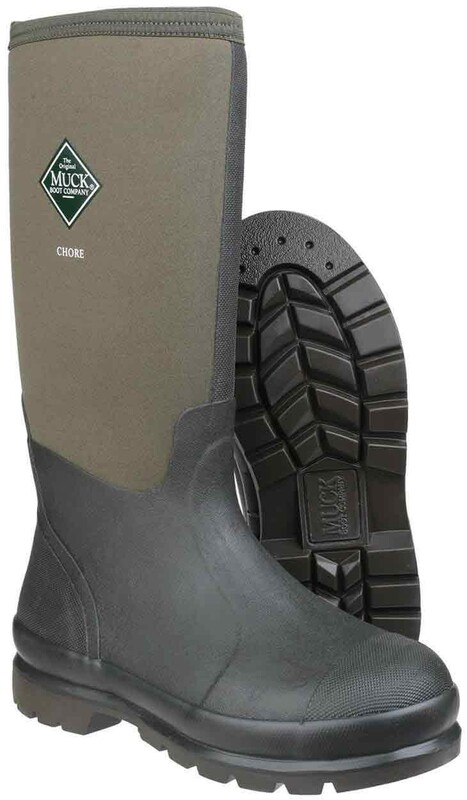 Reinforced toe, instep and heel combined with a steel shank make this an ideal boot for those doing a lot of digging.